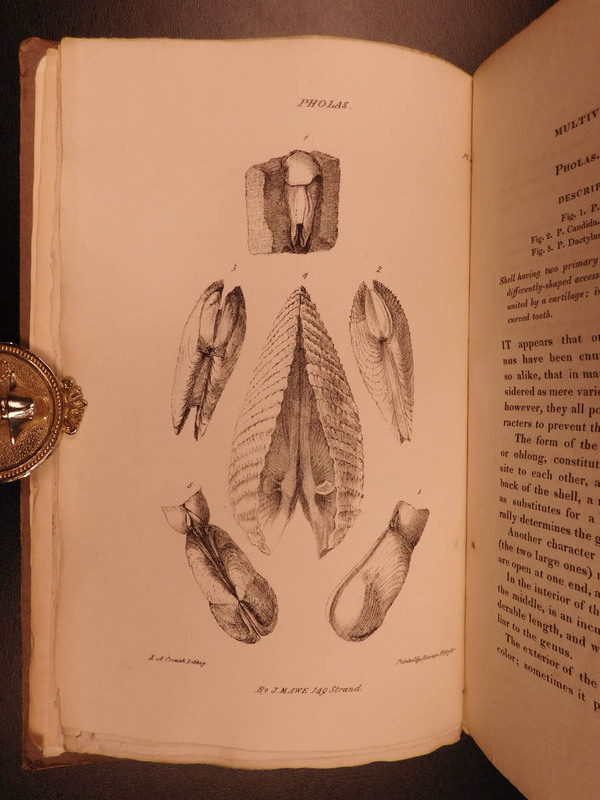 John Mawe was an 18th-century British geologist who published a number of works on mineralogy and chemistry. 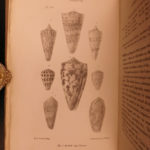 However, his final major work was a deviation from his norm – a treatise on Linnaean taxonomy with regards to conchology and mollusks. 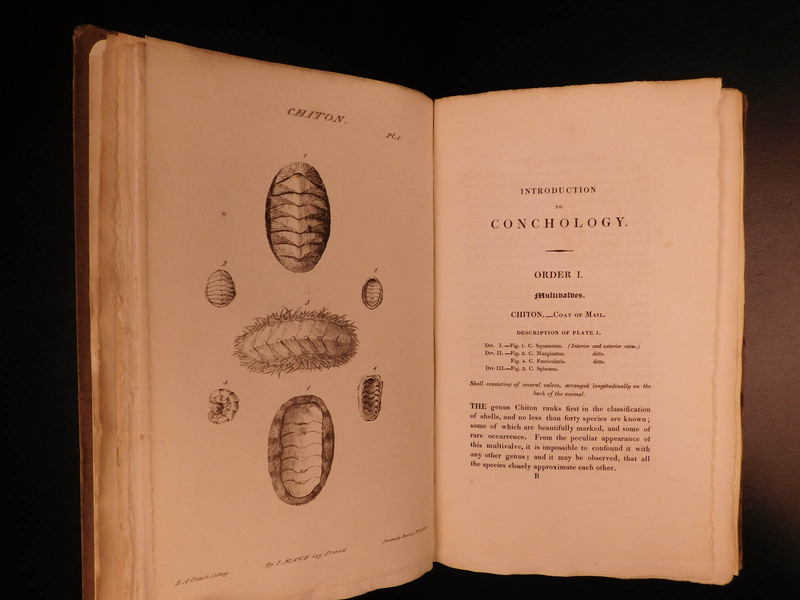 ‘Linnaean System of Conchology’ was first published in 1823 and immediately became the standard reference for malacologists. This first edition is finely illustrated with 37 lithograph illustrations. A fine work. London: Printed for and sold by the author …, and Longman, Hurst, Rees, Orme, and Brown …, 1823. First edition. Source: Edward Walford, ‘The County Families of the United Kingdom Or, Royal Manual of the Titled and Untitled Aristocracy of Great Britain and Ireland…’ publisher R. Hardwicke, 1869.